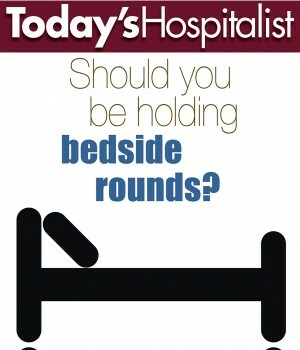 Home Cover Story Should you be holding bedside rounds? WHEN THE HOSPITALISTS at Chicago’s Northwestern Memorial Hospital implemented physician-nurse rounds on two units in 2014, they had high hopes the intervention would boost their patient satisfaction scores. But patients who received bedside rounds didn’t report any better satisfaction scores than controls. Nor did they believe they were able to take a more active role in shared decision-making. Nearly 79% of nurses surveyed did believe the rounds had improved their communication with patients, according to study results in the December 2015 issue of BMJ Quality & Safety. But only half the hospitalist physicians and advanced practice providers (APPs) shared that opinion. “Doctors thought they were already communicating everything that patients and family members needed to know during their daily rounds, and we were asking them to change their workflow quite a bit,” says lead author Kevin O’Leary, MD, MS, chief of Northwestern’s hospital medicine division. The promise of bedside rounds—which usually supplement, not replace, more traditional work rounds—is that they may help lower length of stay, improve patient experience and build more cohesive clinical teams. But many groups struggle with how to master (and adhere) to a rounding agenda and to manage patients’ expectations for what are supposed to be brief team visits. Advocates say that when done well, bedside rounds can become the platform to which any number of safety and quality initiatives can be added. But groups that have implemented bedside rounds and then discontinued them say they have more success with other initiatives designed to improve team communication. According to Dr. O’Leary, making sure doctors and nurses could round together at the bedside proved to be a stumbling block. While the goal of project leaders was to have both physicians and nurses round on more than 75% of their patients every weekday, they were able to hit only 58%. And even when doctors and nurses did round together, they gave bedside rounds less-than-stellar ratings. Fewer than half the nurses (46.4%) and only 36.8% of the hospitalists and hospitalist APPs felt the rounds made their workday more efficient. Dr. O’Leary points out that he and his colleagues already had a successful system for team communication before bedside rounds were launched. All units at Northwestern were already geographically based. And since 2010, group members and ancillary staff had held interdisciplinary rounds in a conference room. “We thought bedside rounds would be a progression,” he says, “and that we’d be able to just move rounds to the bedside. But that was pretty hard to do, in part because people were very satisfied with what we were already doing.” After keeping the bedside rounds in place for six months, his group abandoned the model and reinstated conference-room rounds instead. What explains those different experiences? Dr. Dunn was lead author of a study in the March 2017 issue of the Journal of Hospital Medicine that looked at the impact of the Mount Sinai bedside rounds, which are called mobile interdisciplinary care rounds, or MICRO. In addition, his group has significantly improved its safety culture, according to a validated AHRQ survey. The hospitalists have also seen improved patient satisfaction scores tied to bedside rounds, which became apparent after the published study was completed. Setting patient expectations has been a challenge for William “Tex” Landis, MD, medical director of Wellspan Hospitalists in York, Pa. Dr. Landis’ group launched structured interdisciplinary bedside rounds in 2014. 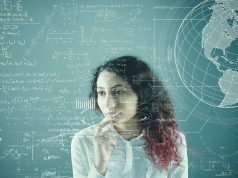 The trouble controlling rounds points to a more fundamental problem: It’s difficult to find unit leaders who can audit physicians and mentor them in the communication techniques they need. Despite those challenges, Dr. Landis firmly believes bedside rounds are a big net benefit. Doctors’ number of daily pages has dropped by two-thirds. Setting up geographic units—which his group did in conjunction with launching bedside rounds—saves each physician 40 to 50 minutes a day. And both unit-based care and bedside rounds have led to more cohesive teams. But buy-in is still a problem, he notes, particularly among new doctors and nurses. “Some providers don’t fully understand the ramifications of unnecessary clinical variation, which I believe is a great source of health care waste and safety problems,” Dr. Landis says. But Dr. Landis sees signs that bedside rounds are making inroads. When group members or hospital staff consider rolling out a new safety or quality initiative, structured bedside rounds are the first option they consider. At Baylor Scott & White Medical Center-Round Rock in Round Rock, Texas, Trina Dorrah, MD, MPH, the physician director of quality improvement and patient experience, would also like to bring some standardization to bedside rounds. Those started at her 101-bed hospital two years ago. The hospitalists don’t have a specific rounding checklist, although Dr. Dorrah would like to have one in the future. And while bedside rounds are encouraged, they are not mandatory. Instead, early adopters have highlighted the benefits of such rounds, increasing buy-in over time. Even without a more formal structure, the emphasis on improving team communication has changed the hospital’s culture. Hospitalists now make sure that nurses know about patients’ care plans, even on days they’re not able to round together. The hospitalists in Dr. Dorrah’s group also participate in multidisciplinary rounds in a conference room at 8:30 a.m. every weekday. “Everyone goes to that one: physical therapy, case management, the chaplain,” she points out. However, only the charge nurses attend the interdisciplinary rounds, so bedside rounds are still important to enable bedside nurses to know the daily plan. During bedside rounds, Dr. Dorrah carefully safeguards those nurses’ time by discussing the daily plan within the first few minutes. That way, if the nurse has to leave the room before the encounter is finished, he or she at least knows the plan. And she finds rounding with the bedside nurses to be very helpful. “I’ve definitely noticed fewer pages,” which she recommends leveraging to gain buy-in from skeptics. But bedside rounds got mixed reviews at Middlesex Hospital in Middletown, Conn., says hospitalist Rachel Lovins, MD, chair of the department of medicine. Her hospital implemented bedside rounds several years ago on several floors. “Many people felt they were redundant and not the best use of their time,” says Dr. Lovins. The scripting could feel awkward if the doctor had already rounded on patients. And not all patients appreciated bedside rounds. While some did, others thought the rounds were too scripted or they didn’t like having a lot of people in their room at once. There were also confidentiality issues in double rooms. Instead, bedside nurses participate in multidisciplinary rounds held at 8:30 a.m. every weekday. “Each nurse presents his or her three or four patients,” says John Machado, DO, section chief of hospital medicine at Middlesex. “We have a multidisciplinary-round template with about 20 identifiers that we run through on each patient.” Geographically-based doctors, nurses and case managers all participate. In addition, the unit-based physicians, nurses and case managers touch base in the afternoon to see who can be discharged the next day so ambulances or other transportation can be arranged. And physicians on weekends are piloting what they call “flash rounds,” meeting with nurses and case managers first thing in the morning. At Premier Health in Dayton, Ohio, bedside rounds are holding on. But they were launched in only one unit just over a year ago in one of the system’s four hospitals, and there are no plans to expand them, says Jeffrey Poulos, MD, Premier Health’s system vice president and chief hospitalist officer. For one, patient satisfaction scores in that unit “are in line with what they were prior to the pilot,” Dr. Poulos says. Also, bedside rounds often get bogged down with patient questions. “They end up taking a lot of time for both the physician and nurse, who don’t really need that level of communication to be able to do their work,” he notes. Bedside rounds were part of a larger project to improve physician-nurse communication and relationships. But the hospitalists’ big push in that project is launching geographic units with multidisciplinary rounds. That initiative is already in place at the system’s largest hospital, Miami Valley Hospital, and is being rolled out in its second largest. And to improve patient satisfaction, Dr. Poulos and his group have made a big investment in AIDET (a communication framework that stands for Acknowledge, Introduce, Duration, Explanation and Thank you) with robust peer-to-peer coaching. Physicians are strongly encouraged to use the AIDET structure in each patient encounter. 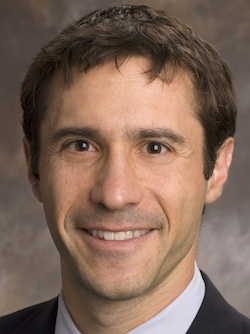 HOSPITALIST AND QUALITY-IMPROVEMENT expert Jason Stein, MD, helped design and pioneer a new care model known as the Accountable Care Unit (ACU). First established at Atlanta’s Emory University Hospital where Dr. Stein was director of quality in the division of hospital medicine, an ACU has four features: unit-based physician teams, structured interdisciplinary bedside rounds (SIBR), unit-level performance reporting, and the co-leadership of a unit-level physician and nurse. In a study that Dr. Stein and his colleagues published in the January 2015 issue of the Journal of Hospital Medicine, observed outcomes included reduced in-hospital mortality and length of stay. While at Emory, Dr. Stein helped other hospitalist programs around the country set up ACUs. For more than two years now, that sideline has become a full-time focus. Dr. Stein is CEO of the Atlanta-based 1Unit, a company that helps hospitals launch ACUs, providing the mentorship and front-line skills training needed to make those units a success. Dr. Stein estimates that between his pro-bono work while at Emory and his years with 1Unit and an earlier, non-profit tech-transfer spin-off, he’s helped set up more than 100 ACUs both in the U.S. and abroad. Dr. Stein recently spoke to Today’s Hospitalist about how bedside rounds fit into ACUs. How do you like being an entrepreneur? I feel like every bone in my body was trained not to be an entrepreneur just by going through medical school and training. It was completely identity-shattering, to be honest, for the first many months. You launched the first ACU at Emory in 2010. Where did you get the idea? It evolved over several years from a series of quality improvement projects and experience gained from helping with several Society of Hospital Medicine initiatives. We realized that by doing so many projects locally or nationally —VTE prevention, glycemic control, reducing readmissions—we were creating a flavor-of-the-month phenomenon without any structure or process to really bolt all those projects together. That’s when we decided to reframe the problem and come up with a different solution. If we reorganize the hospital unit so nurses, physicians and allied health professionals sync up every day at the patient’s bedside, they can incorporate all these projects in a consistent, reliable way. The care-model approach creates a bit of a Swiss Army Knife. It doesn’t matter what you’re looking to solve; creating a standard operating procedure in a unit where there has been none allows you to tackle anything. People try to solve isolated problems with isolated solutions, which gives them very little scalability or durability to take forward. We brought design thinking to a world overcome by projects. You lay out four features, including SIBR. Are people trying one without the others? I’m aware of plenty of that happening, and I wish just one of the features would be enough. It would make everything simpler to implement. But when you put all these features together, you can do much more than with just one individual component, and some literature out there is beginning to back that up. People are establishing unit-based teams, for instance, without physician-nurse co-leadership or SIBR. They do find benefits like less travel time, better teamwork and more efficiency. I don’t want to undermine those benefits at all. But such groups aren’t really seeing reductions in care complications or in-hospital mortality, which other groups with two or three years of high-functioning ACUs are observing and beginning to describe. So combining all four features may be necessary. You’ve described a SIBR communication protocol in which clinicians do many things—update the patient’s status and review a quality-safety checklist—all within three minutes. Some groups say their doctors have a hard time sticking with that timetable and that doctors introduce too much variability by personalizing the protocol. First, the three-minute thing is often misunderstood. There’s no stopwatch in the room. Three minutes is a guideline meant primarily to ensure that all the professional participants have gathered data independently, so they are prepared with what they’re going to say, when they’re going to say it, in what sequence and to what effect. The time component forces us to do some preparatory data-gathering, thinking and formulating. So when we show up at the bedside, we can do higher-order processing together. There’s this misperception that, if we have to be done in under three minutes, we have to tell the patient, “Sorry, we can’t answer your questions, we have time commitments here.” One of the most common insights we share in helping units with SIBR is to say, “Hey, slow down. When patients have questions, field them.” It may add time for some patients,, but that is time well spent. In fact, that’s why we’re here at the bedside together. In teaching SIBR communication, we emphasize both verbal and nonverbal skills, as well as active listening. What should you be thinking while your colleagues are making their contributions? When nurses are going through the quality-safety checklist, for instance, doctors should be thinking about how to respond to the active risk states being identified. There’s a remarkable shared cadence in high-quality SIBR that really only happens if we train and practice the skills. Talk about your SIBR communication training. We teach those skills both in a classroom and with an online training module. Online, we go frame by frame through SIBR, almost like a graphic novel. For example, before approaching the bedside, the physician and nurse check in with each another about sensitive information, then ask permission to enter, then arrange themselves to create a comfortable collaboration space. We then get into the next 10 frames of the SIBR communication protocol. Several studies have recently described different findings about bedside rounds. One common thread is that there may be insufficient attention paid to training individual participants in how to communicate effectively at the bedside. One recent study, for instance, relied on a 1.5-hour communication training workshop, with the authors acknowledging that might not be enough. I would agree. To achieve excellent SIBR performance, physicians and nurses each need multiple instances of objective, specific feedback. At Emory, we had a SIBR coach-training program, which was very effective but labor-intensive, so it was not particularly scalable or sustainable. With 1Unit, we’ve developed online SIBR training that can scale across units. We also have companion technology, which you can think of it as a “SIBR app,” that allows educators or even peers to give objective, specific electronic feedback immediately after SIBR. With those data, hospital leaders can review performance trends and support individuals who are struggling or under-performing. We also recognize and reward staff with “SIBR Certification” when they consistently perform at a high level. We actually supply hospitals with “SIBR Certified” lapel pins to recognize that expertise. How long do you spend at each site? We do a combination of mentored implementation and onsite training. We spend two days onsite in training sessions co-taught by an experienced physician and nurse. The target audience for those sessions is every person who influences care on a unit, so unit clerks, patient care technicians and bed-control officers in addition to physicians, advanced practice providers, nurses and allied professionals. The mentored implementation spans several months per ACU. That includes coach-project management, change management and skills-building, and how to organize and lead people toward standard operating procedures and common goals. IN A STUDY in the January 2015 issue of the Journal of Hospital Medicine, hospitalist Jason Stein, MD, and his colleagues at Atlanta’s Emory University Hospital spelled out how hospitalists should conduct structured bedside rounds in three minutes or less. The authors outlined a standard bedside-round communication protocol for nurses and doctors to follow. Items include updating patients’ current status, reviewing a quality and safety checklist, and synthesizing the patient’s care plan. New York’s Mount Sinai Hospital adopted that protocol for bedside rounds. And physicians successfully keep each encounter to three minutes, even though three clinicians (the doctor, nurse and social worker) all have speaking parts in what the group calls MICRO rounds (for mobile multidisciplinary care rounds). Be on time and take ownership of rounds. You are in charge! See your patients (on work rounds) before bedside rounds. Limit dialogue with patients. Ask them for their goal for the day. If patients have questions, tell them you will come back to discuss those in depth.